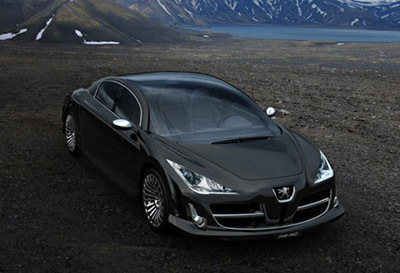 The Peugeot 908 RC was a concept was first seen at the 2006 Paris Motor Show. The luxurious 2+2 Peugeot 908 RC is powered by a 5.5 litre twin turbo V12 developing 700 horsepower and 885 lb/ft of torque. The same engine was used in Peugeot's 908 race car for the le Mans 24 hour race in 2007. 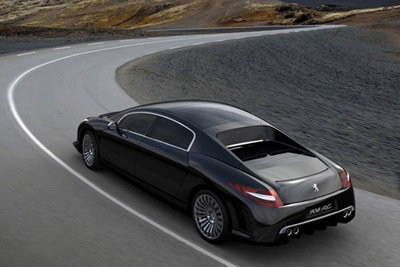 Styling of the 908 RC concept is not dissimilar to the Peugeot 907 supercar concept of late 2004. Although the new car has a more brutal looking front end when compared to the 907's leering grin. The 20" front wheels and 21" rear wheels help accentuate the designers goal to immitate the shape of a big cat, from the nose at the front, to the tip of the rear lights. 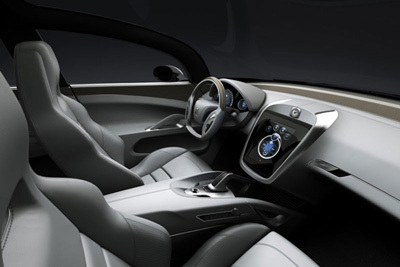 Inside the Peugeot 908 RC concept all comfort systems including radio, MP3 player, satellite navigation, four-zone air conditioning, etc can be controlled via a large touch screen, or MMI (Man/Machine Interface) as Peugeot calls it. The MMI is also accessible to the 908 RC's rear passengers, thanks to a multimedia screen positioned on the centre console separating the two rear seats.